It looks like Stark Industries have their own custom Xbox Ones now and they look pretty sweet. While they were supposedly were designed by Tony Stark himself, they were born by a team up between Microsoft and Marvel to celebrate the release of Captain America: Civil War. 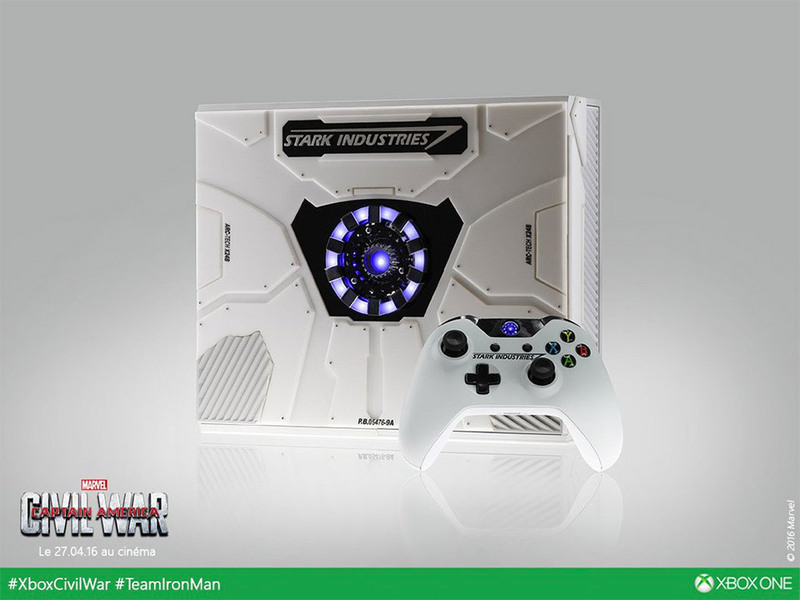 The gaming console is white, you might say “Stark white” even, features the Stark Industries logo, and a glowing blue arc reactor in the center. It also comes with a matching controller. Microsoft France is giving away three of these bad boys. I seriously doubt that we will be seeing these in stores anytime soon, but if you want to win one check out the Facebook, Twitter, or Instagram pages.